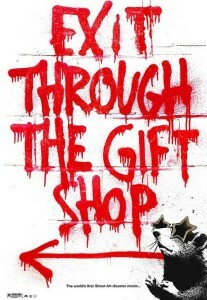 ‘Exit Through the Gift Shop’ follows oddball French filmmaker and artist Thierry Guetta on his journey through the world of street art. He attempts to create an archive of street artists’ individual styles and aims to capture a history of their work as it happens. On a technical level, this film was everything a documentary should be: honest; real, and; fair. It showed both sides of the underground art world. It featured artists’ opinions, cops’ disapproval and art critics’ thoughts about street art and its popularization. There were definite stylistic choices that made it an interesting watch, too. Clips ranged from old tape videos to newer SD card shots. The artists and cinematographers, Bansky and Mr. Brainwash, created an informative, dramatic and compelling film about the rise of subversive graffiti, street and pop art, and Guetta’s manipulation of it. After an opening montage of artists “vandalizing” their respective cities, notorious and anonymous street artist Banksy explains how the film came to be and talks about Theirry Guetta’s modest beginnings. This scene — featuring the lighting, setting, and hooded creator — automatically catches the viewer’s attention. The interview was filmed in Banksy’s workshop with some of his most famous prints in the background. This, paired with the video montage, really introduces a style that remains consistent throughout the rest of the movie. they have something to say about society and important issues. As an artist, it often takes so long to make your way into a formal gallery, but street art is a way around that construct. Even though street art, by nature, is temporary, these people realized that their creations were a form of expression that could be documented and viewed on a greater public stage, and this is documented in a fashion that is both honest and inspirational. Because of all of this, the film leaves you with questions such as; how could someone like Thierry Guetta exist in such a way? And someone like Bansky? How do they finance their art? How often do these creative vandals encounter the police? How are their ideas so universal but so under-discussed? 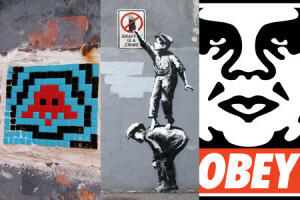 It begs you to learn more about street art and how it applies to you. It leaves you wanting more. Often, too, after watching a film like this, you develop strong opinions about social issues because it’s such a thought provoking feature.